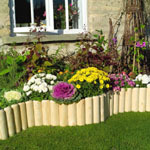 We have large stocks of gardening products ideal to spruce up your garden, produces like lawn edgings, garden screenings, wheelie bin screens and if you need planters we have a great range of window boxes and wall troughs as well as wooden container planters. Can be delivered on any working day of choice. Phone lines seven days a week (8.30am - 9.00pm). Order line or enquires 01757 289073. Buy with confidence full refund if not 100% happy no questions. Please note we are a Web Based Company with no retail outlet to visit. Thankyou.! This weeks major task has been the preparation of the hebe bed under the medlar tree. While removing old underlay which had been used as a weed suppressant, we met a toad and a frog who found their ideal home underneath it. The plan is to put down proper membrane, allowing water to pass through but hopefully holding back the weeds. The area right under the medlar tree is fairly well weed free, except a couple of bracken plants, which will relocate to one of the shade beds. We shall probably not plant anything there, as when the tree is in full leaf, it is quite dense. So a liberal carpet of bark on top of the membrane will finish off that part. 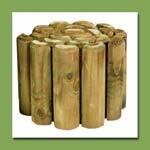 The part out of the shade will also have membrane and bark, and will be planted up with mainly hebes, some of which we have already bought, some of which we shall propagate from existing specimens. The daffodil deadheading season is in full swing. I suspect it will need doing several times a week for a while, by which time the polyanthus will also need attention. 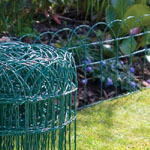 Not only does this keep the plants looking neat and tidy, but it prevents them using energy fattening up seeds which we do not want. So the plant or bulb has strength for a good show again next year, or in the case of polyanthus, for the rest of this year. This year looks to be preparing for a bumper crop of sloes, if the blossom is anything to judge by. 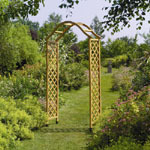 Make a great entrance to your garden with one of our arches .Price from these full height garden arches start from Only £8.99.